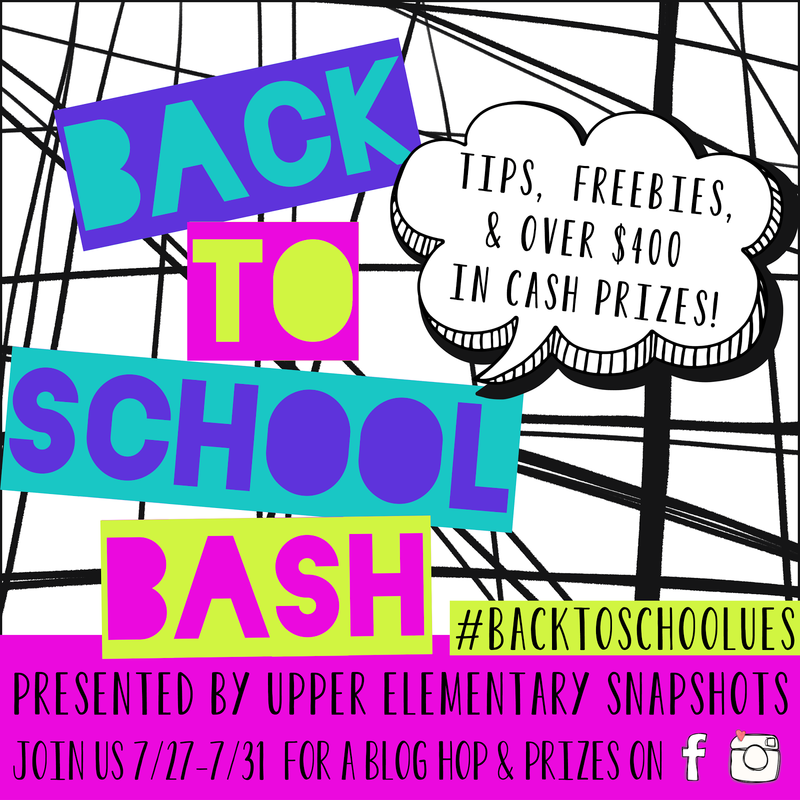 I teamed up with Upper Elementary Snapshots this week for a back to school bash to offer you all some great tips, freebies and cash prizes!! As a former teacher, I know just how many useful things can end up getting tossed away and how many un-useful things can pile up and begin to accumulate or even take over limited storage areas. While teaching Kindergarten (several years ago), I was on a really tight budget and was forced to purchase most of my classroom materials myself. I depended largely on donations those first couple of years and I quickly became very creative about using items that would normally get tossed away in the garbage. 2. Marker Cartridges(the dried up end of the marker). ****Note:Do not allow students to remove the ink from the marker cartridge. Instead, just have students drop the marker caps in one back and the cartridge in another. Store the bags somewhere handy and easy to access. Allow students to drop old marker caps from dried-up markers into the bag throughout the year instead of tossing them into the garbage. A great place to store the bags might be on a wall right above the trash bin in your classroom, so students can easily do this on their own. Here are 5 quick tips to help save you money and turn those old things into budget-saving classroom supplies. Use marker caps for counting, measuring, making patterns, or for art projects. These little things come in a variety of colors and sizes, and they are fun to use throughout the year. Markers typically dry up fast and need to be replaced several times a year. In just a few months, you should have a nice collection of caps to use. Alcohol ink is a special in used to dye materials that are difficult to paint, like metal and glass. Fill canning jars (or empty pickle or other reusable jars) about 3/4 full with rubbing alcohol to create alcohol ink or water to create watercolors for students to use. Students should not be permitted to use alcohol ink and I would recommend storing that ink somewhere out of site and reach of students. Remove the ink reservoirs from the marker cartridges and place 3-4 of the same color in each jar. The number of ink reservoirs in a jar will depend on the size of the jar and/or the tone of the color you want to create. Allow the ink to sit in the jars over night before removing the ink reservoirs. Store the jars at room temperature and use them to dye classroom staples, plastic caps, or other things you might want to add a splash of color to before using them in your classroom. The Pen Guy takes and uses old pans, markers and other supplies to create amazing works of art. It might be very fun for you to have your entire class sign up to be the Pen Guy's pen pals for the year. Contact him and get students writing, engaging and donating their unused markers throughout the year to see what the Pen Guy creates. This might be a great way to motivate your more creative students and get them excited about writing. Allow students to create a collaborative work of art that can be auctioned to raise money for classroom equipment or to help support an important cause to donate to. Teaching students to help others is an important part of character building and community outreach. Using recycled materials to create a well thought out and planned work of art can raise quite a bit of money for a special cause and prove to be a rewarding experience for students. Glue marker caps onto an cheap clock to have space to add time clues to help students learn to tell time. You can also glue marker caps to cheap wooden dowels that can be purchased from any craft store to create fun pointers. Join our collaborative Back to School Bash this week! Visit the following blogs for more tips, freebies, and resources. Be on the lookout on Facebook and Instagram to win some amazing cash prizes throughout the week!! 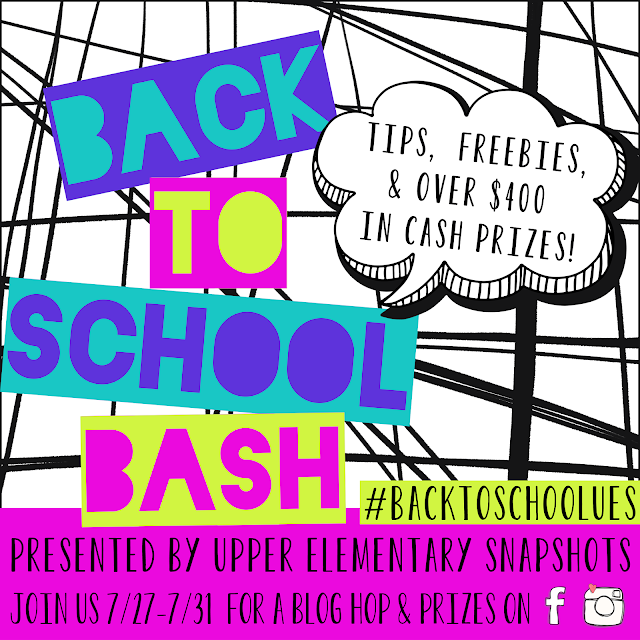 We will be offering over $400 in cash prizes this week using hashtag #backtoschoolues! I love your post! This is a most excellent idea for how to make use of old markers. I absolutely love what you do and I enjoy all of your work!